Already have a contact Center? *Introduce new products, service sales, and subscriptions. *Technical solutions across the complete customer lifecycle from installation and activation to RMA management and parts/field support. *Our Team follows the Three S's of E-commerce which are the Storage Space, Safety protocols, and Site Design to ensure the satisfaction of our customers. *We offers wide range of selection sale not only limited to products but also SERVICES. Technology actually improved the lives of every people and by proving this, we can interact to every customers using the technologies that we have, we can find ways to build a strong relationship to clients. Language translation is one of our diverse means of communication for everyone. Asean Contact Center can help you to understand well the products and services offered by the companies. 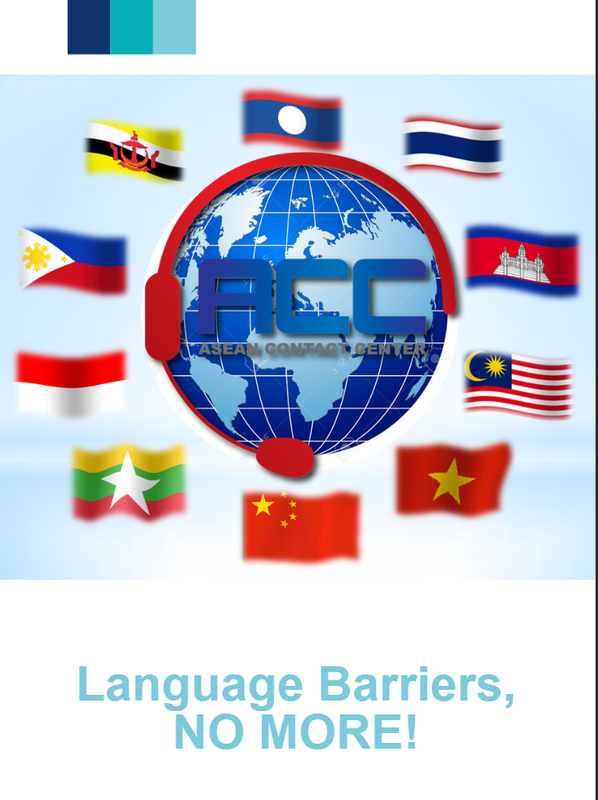 We can translate to different languages such as Lao, Vietnamese, Chinese, English, Filipino, Hmong, Malay, Khmer and Thai. Our Agents are well trained to meet your expectation from How’s and Why’s to Ok’s and Thanks. Our contact center ensures a good workplace for our agents to make them comfortable and influence them to motivate productive services for our clients.